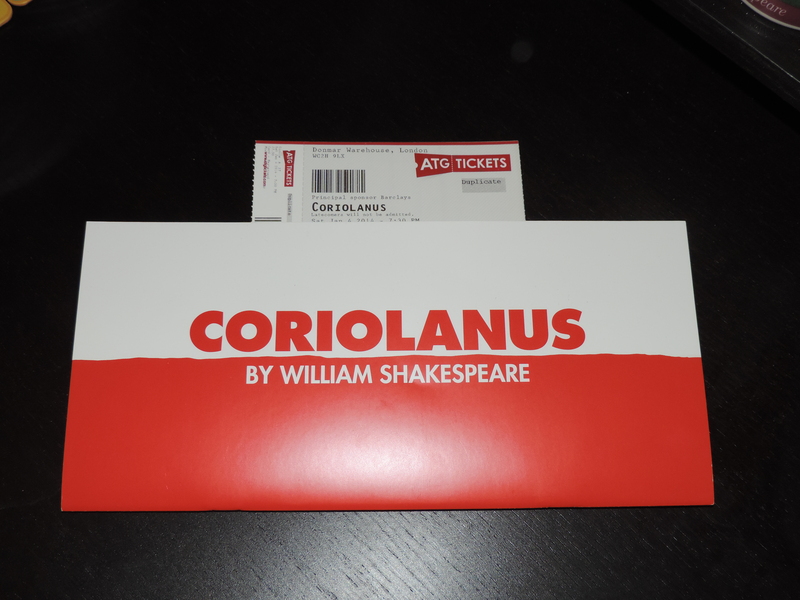 On the first Saturday of 2014, we started our theatre year with Josie Rourke’s Coriolanus at the Donmar Warehouse. The plan was to spend the first week of 2015 in London again anyway, so we decided to start a new tradition. 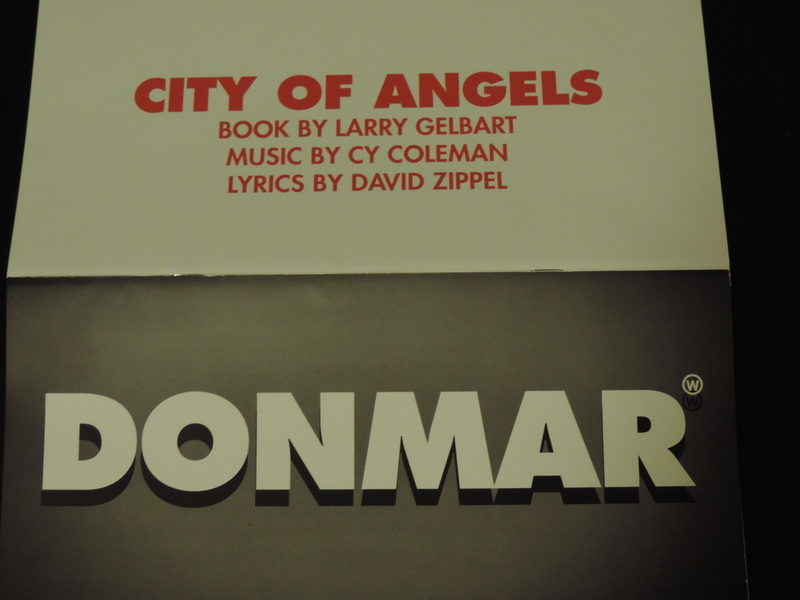 Even if City of Angels turned out to be the second play we saw this year instead of the first, we still happily spent Saturday evening at the Donmar. I’m not the biggest fan or connoisseur of musicals, but I’m always willing to try something new and in this case I was once again glad I did. I also detected a pattern of liking the ones where someone dies and being the musical version of a film noir, City of Angels ticked that box too. Josie Rourke’s first musical production is stylish, funny, well acted and even better sung. From the costumes – I had some serious wardrobe envy, especially concerning the green dress, but I digress – to the stage setting that mainly consisted of piles of scripts and easily changeable features that allowed to switch not only to different locations in record time, but also between the world of philandering writer Stine – who has to deal with marital troubles, a movie producer and said producer’s cunning secretary – to the world of his creation Stone, a private eye hired to find an heiress under questionable circumstances with the LAPD on his heels. The entire musical was a masterclass in lighting design. Stone’s film noir world was lit in black and white, Stine’s Technicolor. When the two men started fighting for dominance on stage during ‘You’re Nothing Without Me’, the colour scheme was a third character on stage that contributed a lot to the scene. Hadley Fraser seemed a lot more at home as singing writer Stine than as Aufidius last year and Tam Mutu’s Stone brought a Cary Grant like presence as well as a serious set of pipes. In fact, the entire ensemble was fantastic, most of them playing several roles in the parallel worlds and some of it even in reverse when Stine changed the script. I really would have loved to see rehearsal footage of the rewound scenes. As for the musical numbers, they are catchy to the point that reading the song titles now when I checked if I had them right, the chorus of each title popped into my head immediately. I have no idea why this gem of a musical isn’t performed more often. Oolie/Donna’s ‘You Can Always Count On Me’, performed tongue-in-cheek by Rebecca Trehearn is another one that stayed in my ears for a few days. If there was a cast recording and/or DVD of this production, I would buy it in a heartbeat. There might even have been singing and humming on the way back to the hotel. When I learned I was going to go on a business trip to Liverpool and London, one of the first things I did was checking if there were any tickets to shows I had grumbled about not being able to see. 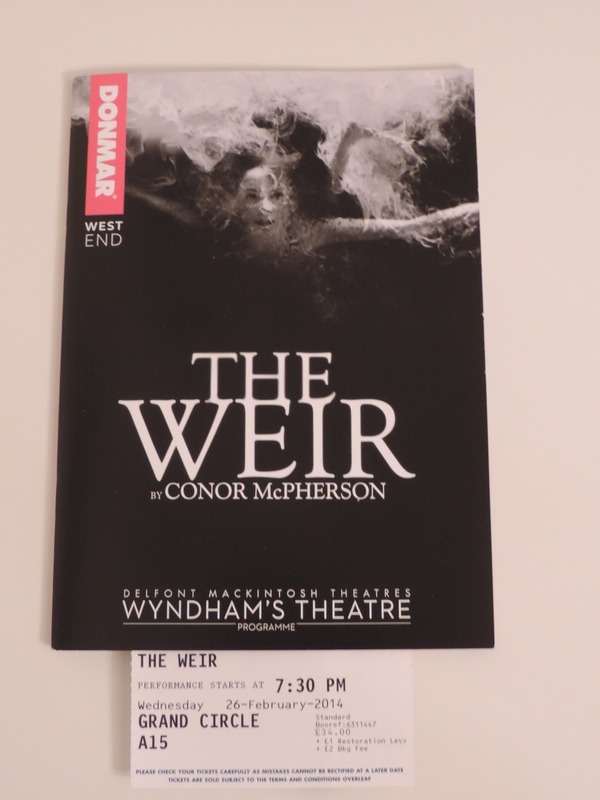 Fortunately, the West End transfer of the Donmar Warehouse production of Conor McPherson’s The Weir had just begun, and I was lucky. A few weeks later, and I really wished someone would finally manage to beam entire human beings (and not in a Galaxy Quest way if possible), so seeing shows at their original venue was possible more often. While I did think the play was very well staged and acted, I thought it got a bit lost in the bigger theatre. The Wyndham’s fits 970 versus the 251 person capacity of the Donmar. The Weir is basically a chamber play – four guys and a mysterious female newcomer from Dublin talk in a pub – so not being able to properly read facial expressions from the first row of the Grand Circle took away quite a bit from the experience. It would be interesting if and how the opinion about the play changes from being seated in the stalls/royal circle/grand circle/balcony. The play itself is quite funny and the conversation very natural. I could imagine most of it taking place in the last pub in Dublin I visited – if the patrons there actually had had full sets of teeth. This was only the second play directed by Josie Rourke I saw, but I do get the feeling that she is more interested in people, their actions, reactions and flaws than in flashy productions which I do appreciate a lot. By foregoing the interval (the play clocks in at 1hr 45min, so it should be possible to sit through it even for the most weak-bladdered), the risk of ripping the audience out of setting and story is also cleverly eliminated. The one big disappointment for me comes down to marketing. I am so used to watching Shakespeare plays and the likes that I ususally know the story very well before watching the play, so I decided to go ‘spoiler-free’ for this one. Or would have, if the promo text plus the artwork for the poster hadn’t been such a dead giveway that reading the playtext beforehand wouldn’t have made a difference. Look away NOW and scroll down to the next paragraph if you don’t want to know the big secret. For those still reading: woman with mysterious past+girl under water+ghost story=ghost of dead daughter hunting mysterious woman causing her to leave Dublin and flee to the countryside, right? My sister’s opinion on this is that I am just weird and have – thanks to jobs past and present – watched way too many TV shows and movies.